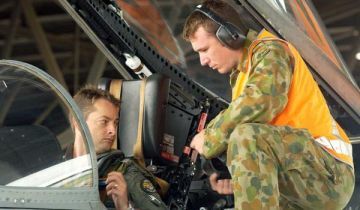 The Hunter’s defence industry and innovation sector is set to get a major boost with the impending establishment of a Defence Innovation Hub at Williamtown. Parliamentary Secretary for the Hunter Scot MacDonald MLC, speaking today at Australia’s largest regional defence forum, the HunterNet Defence Conference, said the region’s defence and related industry is on the cusp of something special. “The NSW Government is very pleased to sponsor and participate in the HunterNet Defence Conference to foster collaboration between prime contractors, small to medium enterprises, academia and Defence,” Mr MacDonald said. “The new Defence Research and Innovation Hub at Williamtown Aerospace Centre will be an exciting addition to the region, helping drive more innovative projects and growth in the sector including for startup businesses. “The initiative is part of the University of Newcastle's innovation network delivered under the NSW Government’s Boosting Business Innovation Program. The Hub will bring the university’s strengths in capabilities such as cyberspace, control systems and autonomous vehicles alongside firms servicing the defence sector to explore commercial opportunities. This is a demonstration of the NSW Defence and Industry Strategy in action. “The Defence and Industry Strategy, New South Wales: Strong, Smart and Connected is the NSW Government’s plan to support the national Defence effort and grow defence jobs, investment and innovation in NSW - including in the Hunter. “We will maximise regional opportunities from the Commonwealth’s $195 billion spend on Defence acquisition, sustainment and operations over the next decade. “The Hunter embodies NSW’s strength in defence force sustainment with Williamtown home to fast-jet maintenance, and now the renewed potential for naval sustainment in Newcastle when the Carrington slipway reopens at the Port. “A NSW parliamentary inquiry focused on growing our defence industry will also hold a Hunter hearing on 18th September to hear further development proposals for the region.” Mr MacDonald said the Hunter is a defence stronghold with Australia’s leading jet fighter base at RAAF Williamtown and the Army’s School of Infantry, Special Forces Training Centre, and Army Reserve units. The NSW Government's $18 million Boosting Business Innovation Program has provided $1.5 million to Newcastle University to establish four innovation hubs across the Hunter including a Defence Research and Innovation Hub at Williamtown Aerospace Centre to allow the university - with strengths in cyberspace, control systems, autonomous vehicles, simulation modelling, propulsion and energy storage - to work with defence companies to develop commercial opportunities. There is a growing market for local Defence startups focusing on technology innovation in the sector, such as Applied Virtual Simulation, Armor Composite Engineering, and Rapid Phenotyping. NSW Government support for the upgrade of the Carrington slipway is activating plans by Thales Australia to revitalise maritime ship maintenance in collaboration with the Port of Newcastle and Newcastle City Council. Hunter defence primes continue to secure significant wins delivering regional benefits, such as Boeing and Varley.